We all want more love, joy, peace, and wellness in our lives. The best habit to get the fastest results is meditation. Meditation has been shown to increase compassionate thought and behavior. It does amazing things in reducing stress. The benefits of meditation are clear, but what is meditation? 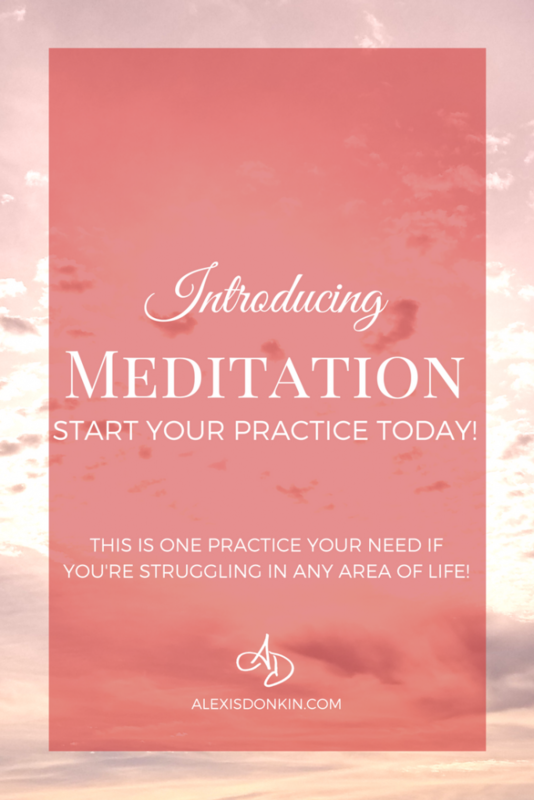 How can someone begin a meditation practice? Watching late night television, as the infomercials come on, it would be easy to think that every problem in life can be solved by a pill, potion, or new and improved widget. Many problems are solved in this way – problems we didn’t know existed. These things aren’t real. They aren’t. They are snake oil dressed up in beautiful packaging. In fact, most solutions to problems are NOT pills or magic potions. They aren’t widgets patented by some guy in his garage. Solutions to most problems are practices that when done consistently become life habits. There is no magic spell to end troubles. There is no silver bullet to kill the monster in life. There is only you and what you are willing to do. When I began meditating, I did it because I needed grounding. I needed to know myself and so I was willing to try anything I could. This wasn’t a path to building my intuition, astral projection, communion with angels, saints, or animal guides. I didn’t see it as anything except a way to help me achieve a sense of peace in daily life, and with luck, actualize my humanity (little thing, that). What happened as a result of meditation, was miraculous. It transformed every aspect of life. So no, it’s not a silver bullet. It’s not magic – but it did have magical results. When I was younger, I thought meditation always involved a lotus yoga pose and a zafu (meditation pillow). I thought it involved chanting and closed eyes. I thought my mind had to be completely empty of all thought and anything else would ruin the meditation. While some meditation may involve the above for some people, it is not the only way to meditate. Meditation is training the mind to some state of consciousness for a particular benefit or result. Meditation always has some intended result, which will dictate the form it takes. People think of prayer as being a religious experience talking to a god and that limits people’s thinking about the practice. Often prayers are limited in how they’re applied, and it’s better for us to have as open an understanding as possible. Contemplation tends to focus on a specific object outside of the self. The discipline involved in “contemplation” is less rigorous and limiting. Most of you are not budding intuitives. The idea of connecting with beings/creative forces that cannot be proven by science is way too out there for many people. This is a concept for the advanced practitioner. It doesn’t inherently require any particular belief system to be in place. And it’s benefits have been studied and documented through science. Warning: I AM going to dip into the “woo-woo” or “hooby-dooby” for a minute. That’s because many meditation practices involve things that cannot be seen with the physical human eye. They involve concepts that are difficult to communicate or understand from an empirical perspective. Meditation stimulates states of consciousness that are not fully understood by science (because consciousness is not fully understood by science). And improved my ability to make decisions that serve me (To give you an idea, check out this post here.). Of course these results are not necessarily the results others will achieve. The kind of results you get are determined by how consistently you meditate. It is something that only works when done on a regular basis. That said, different kinds of meditation have worked better at different times in my practice. 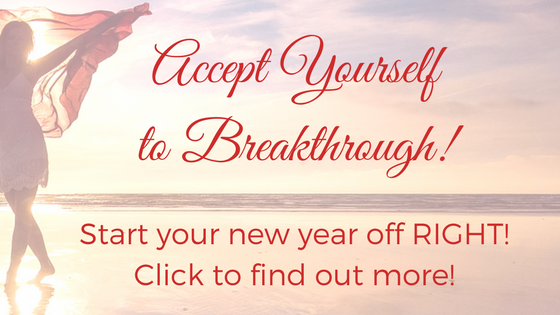 When I began my meditation practice, I started with self-hypnosis (that’s part of what I did with birthing my son!). That was the easiest way for me to get comfortable with directed thought. After a while, I felt like I needed something more. That’s when I began looking for specific results with less guidance and so came across binaural beats and subliminal messaging. I used these for a while, and I did begin to notice my perspective shifting when listening to these on a consistent basis. Once again, however, I felt like I needed something different. I felt I needed more than subliminals could do for me. 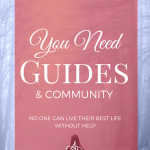 This is when I began exploring guided meditations. Most guided meditations have a specific goal in mind, and I tended to choose those focused on relaxation and a positive perspective. I liked them well enough, but at a certain point, it was no longer enough. That’s when I decided to explore topics I’d never allowed myself to explore. I was skeptical of many “woo-woo” or “hooby-dooby” claims around meditation. The idea of connecting to beings invisible to the naked human eye made my well-trained academic mind balk. It did. Still, I was hungry for something more. 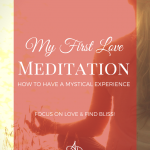 To see how far I could go with meditation – I tried some of these other, specifically spiritual meditation practices. That’s when I decided to try a chakra meditation. I liked it so much, I did that every day for at least a month along with guided grounding and energy clearing meditations. And things blew up. 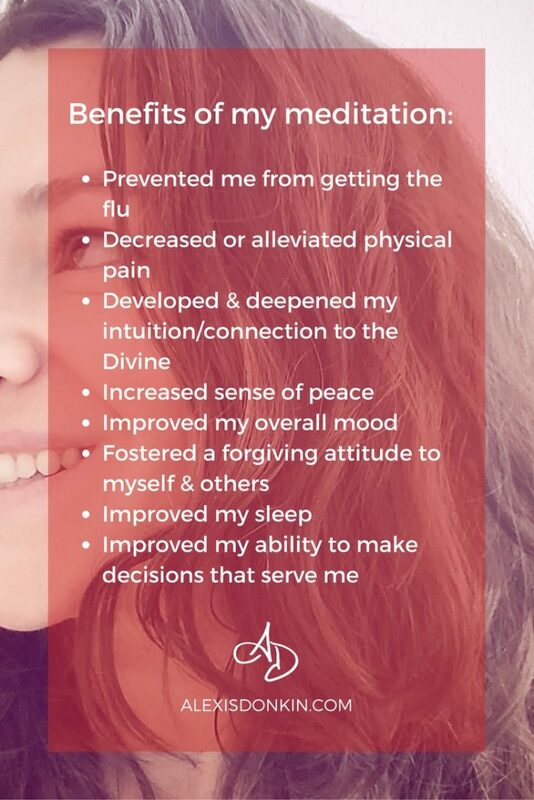 Just because a chakra meditation had a major impact on my spiritual, emotional, and mental wellness does not mean it would have the same impact for you. Different people will respond differently to various kinds of meditation. If you’re coming from a conservative Christian background, chakras will likely be too out there for you. If you’re coming from an atheist experience, that STILL may be too out there. Just because one doesn’t work for you doesn’t mean you can’t find another one that does. What’s important is that you find one that works that you will practice on a consistent basis because it does amazing things for your understanding, wellness, and experience of life. If there is one thing I recommend to coaching clients, it’s a meditation practice. Period. 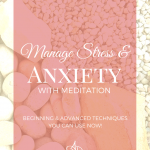 I recommend it so strongly because of the benefits I’ve experienced and continue to experience (Meditation is one of the practices I include in the Accept Yourself to Breakthrough Program!). There are lots of practices you can use to make a positive impact in your life. Meditation is an easy one because it takes very little time and energy to start. If you haven’t tried a meditation practice, now is a great time to start. There are plenty of options to choose from! Try a few and see what works best for you!